Three layer compression bandage offers reduced compression from the original Multi-layer High Compression Bandaging System. It is specifically designed for the management of "mixed" etiology leg ulcers where the patient has been identified to have some degree of arterial impairment which prevents the use of full compression. 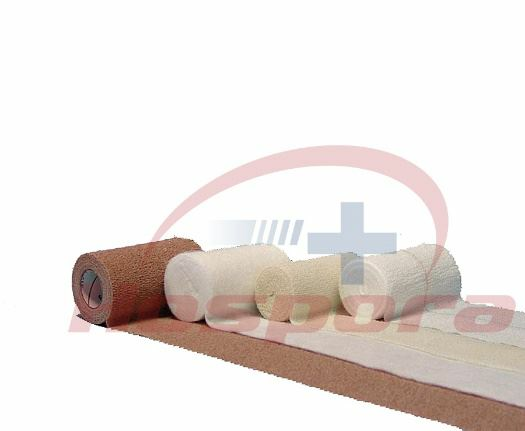 Absorbent Padding Bandage helps absorb exudate and protect bony prominences. Conformable Bandage helps absorb exudate and helps prepare and sculpt the leg for application of pressure. Self-Adherent Cohesive Bandage applies compression and safely maintains the system in place for up to one week. Our entire range of Three layer compression bandage is checked for quality and performance to ensure that only a flawless range is being dispatched to our clients. If you have any questions about our products, please feel free to contact us, we will be the first time to reply. Also our products are in competitive price.